Gone are the days when you had to invest days learning how to code in order to make a website. It’s no secret that there are a number of CMS Website Builder (s) available on the web which help you accomplish the task within minutes. That’s what this list is all about. Some are good, others better than them and there are some which are the best. But every tool has it’s own pros and cons now doesn’t it? So without beating around the bush a lot, let me just give you some of the best CMS Website builder options you can use to set up your website in the next 10 minutes! When it comes to “easy interface” and fast websites, Moto CMS should be on top of your priority list. It’s a website builder CMS that takes up the task of building a website from “tiresome” and “time-consuming”, to fun and fast! 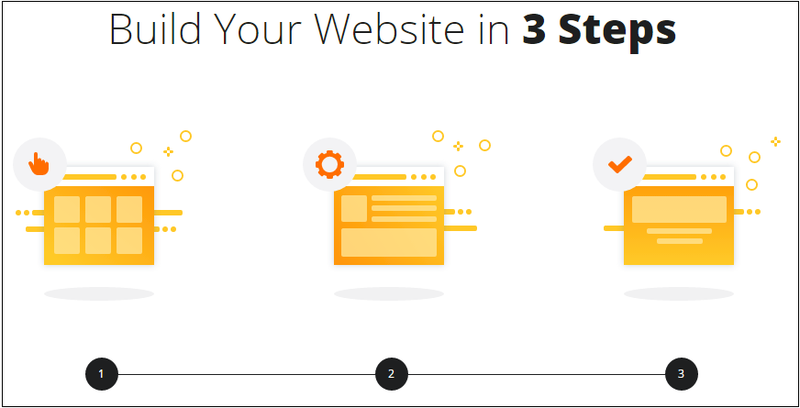 You can build a website in as little as three steps! Choose your design > Add the content > Done! Have you ever seen a website getting built faster? Me neither! 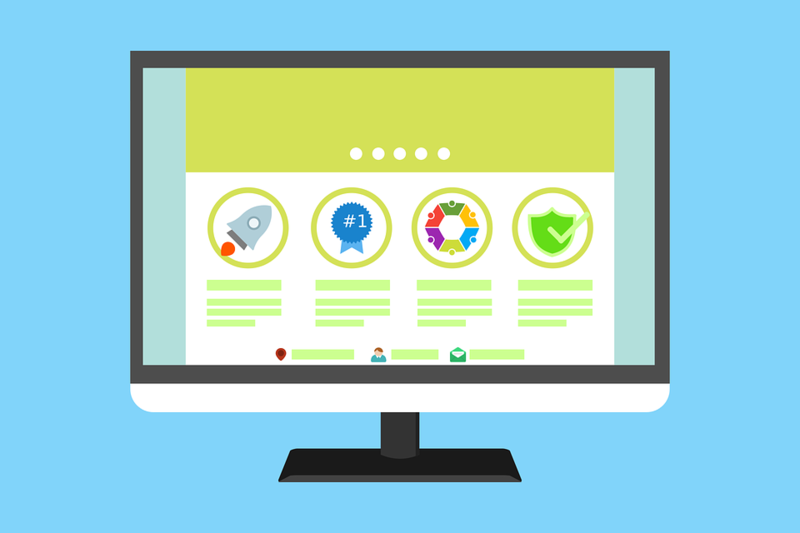 You just choose the elements you need, the header, the pricing tables among other things for example, simply drag and drop them on your website and done! No need to get your hands dirty with codes. And they have over a hundred website builder templates you can choose from. Just select your niche/industry and you’ll get more options than you’ll ever need. Obviously SEO optimization, mobile responsiveness and all the other little details are included ,that goes without saying I suppose for a platform as professional as MotoCMS. Wix can’t be a stranger to you if you’ve ever Googled “Website builder templates”. They are without doubt one of the most professional, oldest and advanced website builders available in the market today. Wix too features a drag and drop builder, and quite a number of templates to choose from. The premium plans at wix start from a mere $9.25/month which I think is just as cheap as it gets when ti comes to creating a website. Also Wix boasts the latest A.I prediction algorithm to predict the best possible color combination, page layout and other such details, so even if you use the same templates as someone else, your web page won’t be an exact copy of others. Yola is one of my faviorate CMS website builders for the same reasons Moto CMS and Wix are, that’s the drag and drop page builder. Apart from that, you won’t ever be in a lack of templates to choose from either. And in addition to that, I’ve always felt that the customization you get with Yola is slightly better compared to Wix. Another features which should make you fall in love with the platform is its “reports and statistics” dashboard which will work more or less like your personal Google Analytics for the project. Weebly needs no introduction in the Website builders or templates industry. Infact their tagline says “A beautiful website starts here”, and I don’t have the guts or facts to argue that to be honest. Weebly will be my second choice (after Moto CMS) if “design” is my first priority. The look and feel you get with Weebly templates is just as professional and elegant as it gets. It features advanced tools like “Carts” and real time statistics for you, so even if you’re in for the long-haul and are looking to create more than just a website, that’s an E-commerce platform, you can totally do it with Weebly. Not to mention their advanced reports dashboard, E-mail integration and other such features. So bottomline? Weebly knows what it’s doing. That’s all I’ve got to say as far as this list on CMS website builders and website templates is concerned. I’m sure the options included are more than enough to get you going. Although if you’d like to add something from your end, feel free to use the comment box. Weebly is really most easy for user to use website builder and most important is that it absolutely offers amazing package of themes. You have explored amazing services and they are absolutely sounds well featured to maximize productivity level. Eventually, thanks for sharing your valuable information with us. Great compilation mate, pretty cool for beginner website makers! Nice article…!!! all the tools are very effective for building the best websites. you really shared a best CMS Website builder options with us.It helped me alot for designing websites.